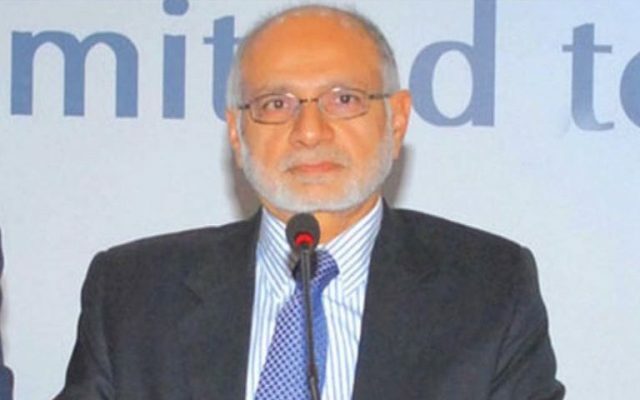 Asif Ali Zardari’s close aide Hussain Lawai was presented before a judicial magistrate on Saturday. The FIA was granted his physical remand till July 11. He was brought to the City Court a day after being arrested by the FIA in a money laundering case. Lawai is the chairperson of the Pakistan Stock Exchange and head of Summit Bank. Twenty-nine accounts belonging to seven people have been used to launder around Rs25 billion in Sindh, according to the FIA, which is being called the ‘biggest money laundering case in Sindh’. Apart from Lawai, Anwar Majeed, Taha Raza, Abdul Ghani Majeed, Aslam Masood, Arif Khan, Noorain Sultan, Kiran Aman and Adeel Shah Rashidi have also been implicated in the case.